The Nashville Predators saw a third-period lead slip away and fell 3-2 in a shootout to the Arizona Coyotes on Thursday night at Gila River Arena. The result sees the Preds collect at least a point in consecutive games for the first time this season, but finish the road trip with a 1-2-2 mark and 3-5-2 record overall. The Preds outshot the Coyotes 18-6 in the opening period, but were only able to capitalize once, giving their opponent the chance to come back. Arizona seized a 1-0 lead when Christian Dvorak recorded his first career NHL goal, but Matt Irwin got his second in as many games to even the score. 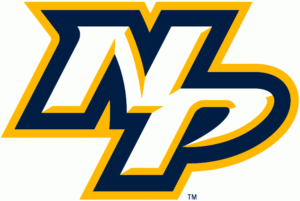 Craig Smith took over the Preds goal-scoring lead when he potted his fifth of the season on the power play to give Nashville their first advantage of the night that they carried into the second intermission. Early in the third, Arizona got it back in the third when Anthony Duclair tied the game off a loose puck in front. Nashville had their chances in the overtime session, including a power play for the final 1:39, but were unable to beat Louis Domingue. Duclair and Radim Vrbata then beat Pekka Rinne in the shootout to seal the win. After putting together a complete effort two nights earlier, the Predators weren’t happy with how the second half of Thursday’s game played out, something that was stressed postgame, and will continue to be emphasized as the team returns home. Preds Captain Mike Fisher (upper-body, day-to-day) did not play against the Coyotes on Thursday. Winger Kevin Fiala re-entered the lineup in Fisher’s absence. Nashville’s total of 18 shots on goal in the first period was their highest total of any period this season. The Predators return home to Bridgestone Arena on Saturday night when they host the Carolina Hurricanes to begin a four-game home stand. Thunder Radio will bring you that broadcast as part of the Nashville Predators Radio Network beginning at 6:30 PM.